Justin Laundry Systems rental programs allows you to have commercial or industrial laundry equipment without the initial costly investment of a purchase. You simply supply all utility requirements for the equipment and Justin Laundry Systems handles the rest with an easy monthly payment. All your laundry needs are taken care of with one monthly payment via bank draft. Another HUGE selling point to our rental program is that maintenance and service calls are absolutely FREE. 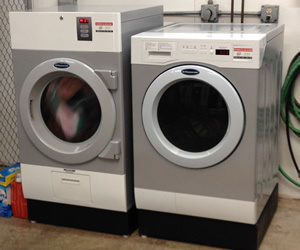 “Justin Laundry Systems has given me the ability to have the laundry equipment I needed without the initial capital expenditures of having to buy new equipment. My laundry contract was painless and having dependable FREE service was a big no brainer for our company”.